Lycoming County (pop. 116,111) is west of Sullivan County. It is the only Lycoming County in the U.S., and is Pennsylvania’s largest county in land area. 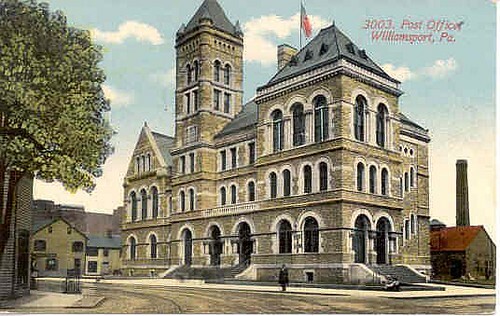 The county seat of Lycoming County is the city of Williamsport (pop. 29,385), which is best known as the birthplace of Little League Baseball (in 1939) and the home of the Little League World Series (since 1947). Games are actually played in South Williamsport. 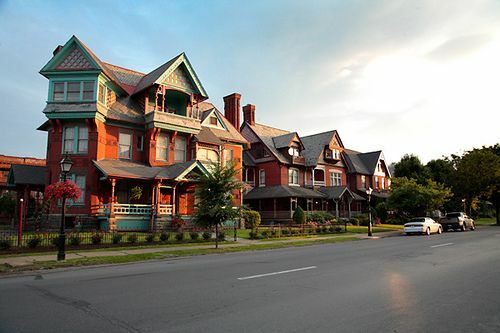 Williamsport was a very prosperous city in the late 19th century, thanks to the lumber industry. It reportedly had more millionaires per capital than any other city in the world. The athletic teams at Williamsport High School are known as the Millionaires. The Community Arts Center in Williamsport opened in 1928 as the Capitol Theatre. It was restored in 1993. Lycoming College, in Williamsport, is a liberal arts college with about 1,400 students. It was founded in 1812 as the Williamsport Academy for the Education of Youth in the English and Other Languages. 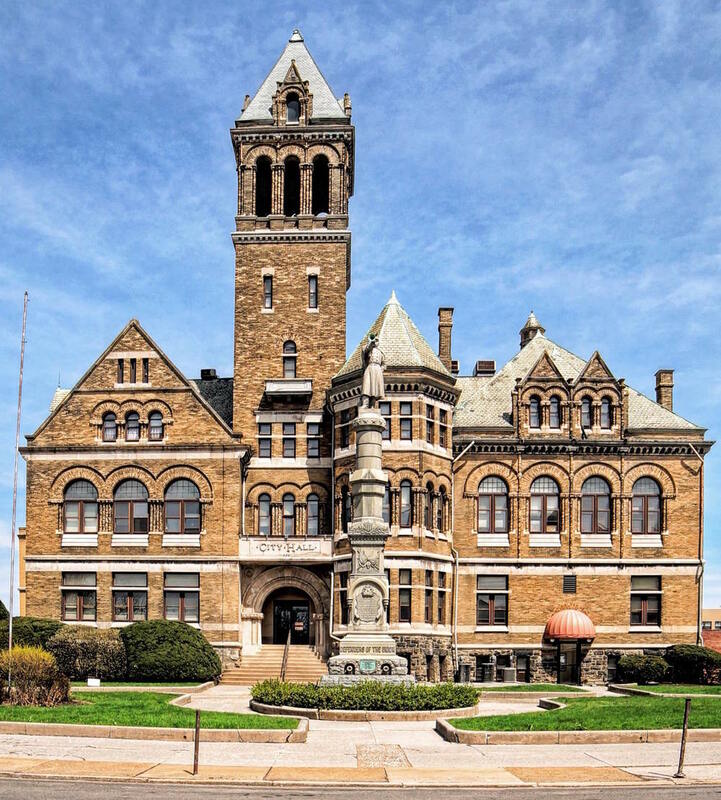 The former U.S. Post Office (1891) is now Williamsport City Hall. The former City Hall (1894) is now the City Hall Grand Hotel. The 11-story Genetti Hotel was built in 1921 as the Lycoming Hotel. It is still open as a hotel. 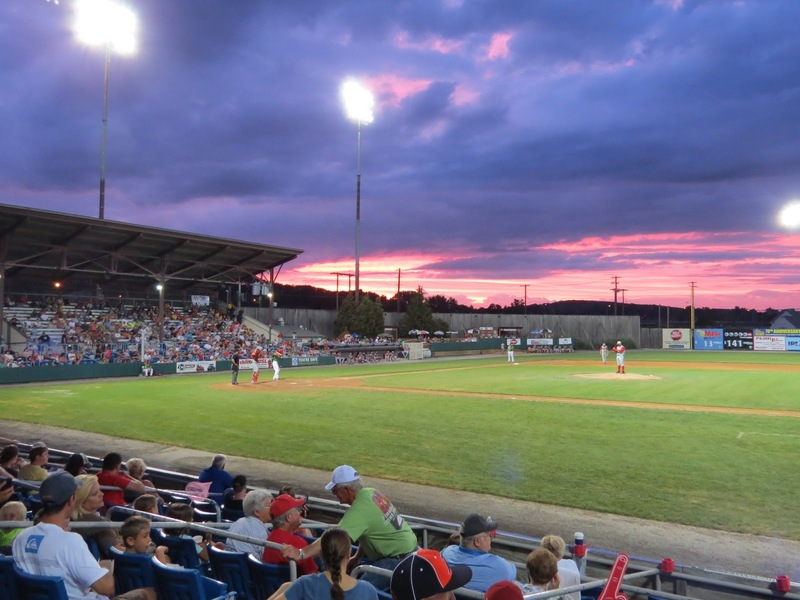 The Williamsport Crosscutters, affiliate of the Philadelphia Phillies in the short-season Single-A New York-Penn League, play at Bowman Field (1926), second-oldest minor league ballpark in the U.S. 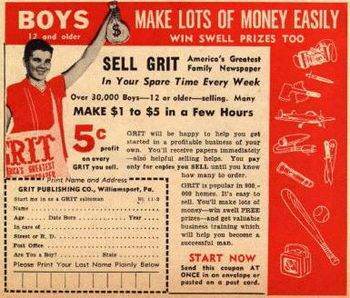 The weekly newspaper “Grit” was founded in Williamsport in 1882. In the first half of the 20th century, it was very popular in rural areas through much of the U.S., with a circulation of more than 400,000. 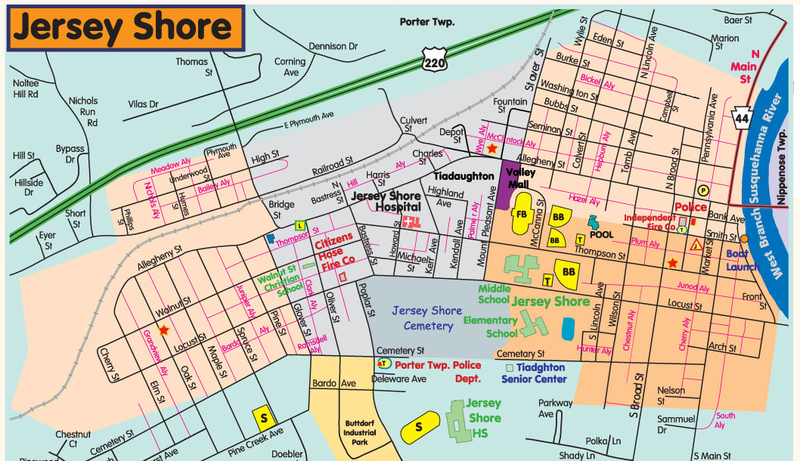 Lycoming County has a community called Jersey Shore (pop. 4,361), on the West Branch Susquehanna River. Its founding family came from New Jersey. Near the Lycoming Mall in the borough of Muncy (pop. 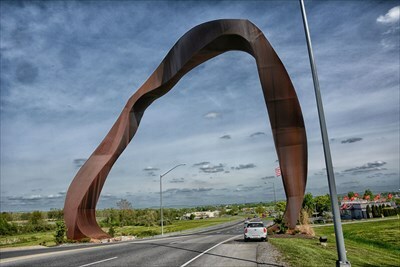 2,477) is a 90-foot steel sculpture known as the Hadany Arch. It was built by sculptor Israel Hadany in 1977.